In my family of origin, my mother did a lot of work in the kitchen and sat many hours, sewing our clothing at her sewing machine. My father participated…for example, he told me that he remembered cutting the cherries in half. 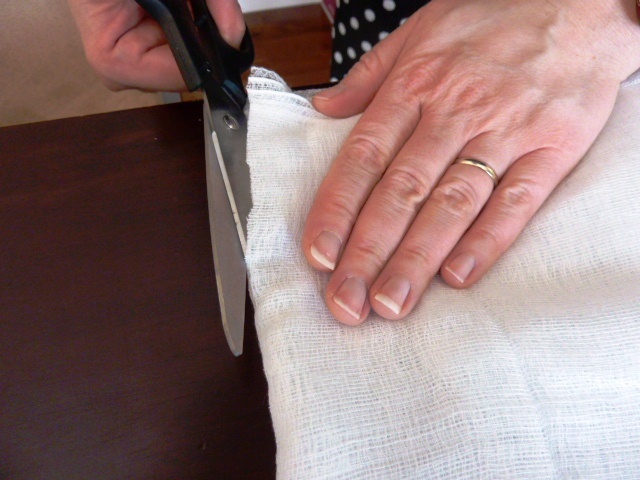 (news to me…and as a result, this is the first year that I cut them in half) The reason for starting this blog post. I set my alarm for 6:30 this morning. I decided before I went to bed that I would get up early, mix up the batter and fruit and put it all together to rest in order to bake it this evening. (I’ve got lots I want to do today). Well, it turns out that I woke at 4:00 in the morning. Wide awake. I made a decision to rise and SHINE…shine, being the operative word. I put the coffee on and let Max out in the back yard to pee. I looked up Gordon Lightfoot on Spotify, after listening to one short album of The Tallest Man On Earth. For some reason, I woke with the lyrics of Wherefore and Why on my mind. 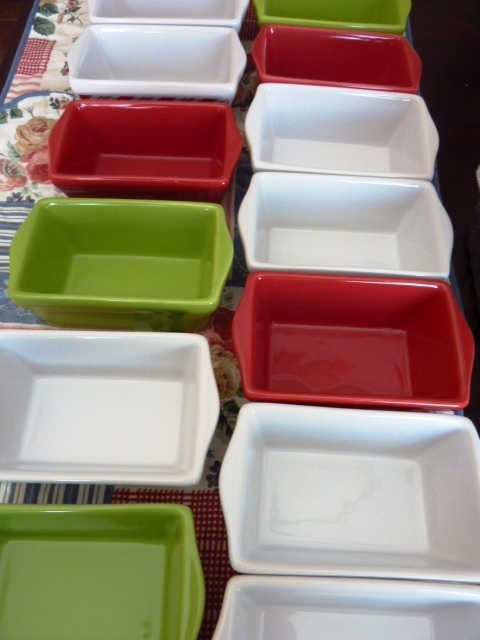 I made a choice to enter into the fruitcake prep with happiness and with a sense of nostalgia. Some things came to mind as I worked and I wanted to write them down before I get on with the day. First of all, the smells of Christmas are really important. Allspice. Molasses. Cinnamon. Nutmeg. Mixed Peel…evergreen…mincemeat. 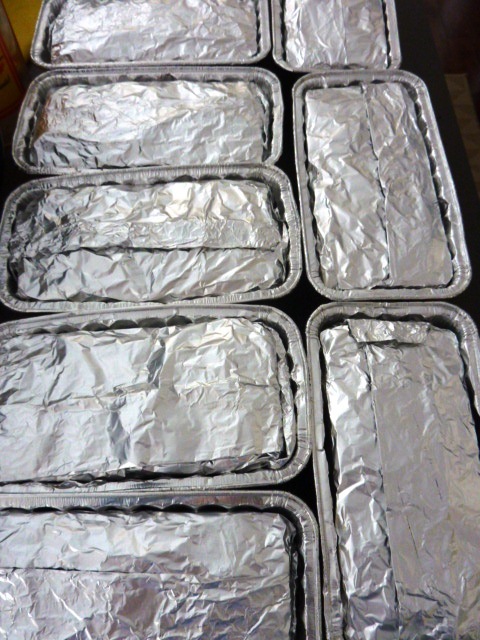 I remembered my family while making fruitcake. My grandparents. My parents. My brothers and sister. And through the last many years…my children. When I opened the small carton of molasses, I remembered my Gramma Moors. A dessert treat would be to soak up molasses with a piece of white bread. I remember her doing this while sitting at her small kitchen table. The table was covered with a piece of floral vinyl. I remember her soft yellow bath robe. I remember that her feet didn’t really touch the floor when she sat at that table. I miss my Gramma. My kitchen is small, by today’s standards. I realize this. But, I have no desire for a larger kitchen. My dishwasher hasn’t worked for almost two years. I wash my dishes by hand. But, as I worked in my kitchen this morning, I remembered the kitchens where my mother toiled to make turkey dinners and dozens of butter tarts and fruitcakes and, for the most part, they were small kitchens. I liked the intimacy, this morning, of my kitchen. I enjoyed the idea that this kitchen is in a home that I have made, along with my children, all on our own. I haven’t got a hankering to purchase or use mandolines or food processors of any kind. I use a knife, a glass lemon squeezer, a grater…those sorts of tools. In our family fruitcake recipe, for a single batch, we require one lemon and one orange; zest and juice. As I squeezed these this morning, I remembered my mother’s knuckles…her hands…doing their work at the kitchen counter. The image was as clear as day. She pressed so hard that I remember her knuckles being red. Every last drop of juice was won by her efforts. Having no bowl large enough in my kitchen, I used my roasting pan and combined ingredients there. Mom and Dad used their turkey roaster, also. I remembered the large batch of batter resting in the family roaster. I had a beautiful start to my day, preparing our family fruitcake recipe. Thanks to Dad for sending me grocery money, I will be baking these up tonight, wrapping them up with the help of my girls tomorrow evening and posting them to my family, for the holiday. Even if my brothers and sister just open the wrap and take in the smell of brandy and fruitcake, it will be enough…to remember our shared Christmases, our history and our Mom. This morning, I lit a candle. The day has been filled with Christmas light. I got up early this morning…Max and I did a before-the-sun-came-up walk. On the circle, Christmas lights on houses and in trees still dazzled the snow-sprinkled morning. A cold bite to the air, I pulled my hood up and we made our way into day, leaving our footprints behind, the first in fresh snow. The magic continued. As is usual, it was possible to hear one good classical tune on CKUA on my drive to the church, where upon my entrance, I was greeted by the familiar voices and smiles of old friends. After a short morning prayer, I decided to light a candle. It is the feast day of the Holy Family and I couldn’t stop thinking about my family…Dad, Mom…my brothers and sister and my children. Mom would have me light that candle and say a prayer and acknowledge, with gratitude, the blessings of this season and my life, and so I did. Social media enjoys its fair share of cynicism about God, Jesus and ‘religion’. While somewhat accepting of ‘spirituality’ and spewing a constant blast of Rumi quotes, many people generally dismiss the power of belief and embrace the power of ‘I’, ‘me’, ‘now’, ‘manifestation’, ‘selfie’, and ‘self-gratification’ instead. I’m not here to knock all of that and all of them, but I’m here to proclaim just how powerful faith is for me. I felt as though when I lit that candle, a tidal wave of love spilled over me. I experienced ‘God-be-with-you’ in the truest sense. I am grateful for the grace and power of the divine within me. I’m a big one for family history, studying my maternal and paternal lineages intensely for the past five years. The Liturgy of the Word was filled with family history today…stories of hope and amazement. The Mass was filled with blessings of every kind. Deacon Greg shared a heartfelt homily that touched me deeply. Sometimes personal narratives just have a way of reaching into the soul and healing something. Greg’s stories of faith, family, struggle and joy were so meaningful and so relevant. I cherish my family deeply and I’m so grateful for their love and support always. Each member of my family, whether they be in Lethbridge, Raymond, Magrath, Ottawa, Halifax, Comox or Calgary, is light to me. During Offertory, we sang the Little Drummer Boy. Today’s version, with some percussion, sent chills up my spine because I felt as though Mom was sitting right beside me. This carol was always her favourite and my spirit lit up at the first tap of the drum. Three baptisms…Isaac, Ethan and Noelle. What’s not to absolutely love about baptisms? The children from the congregation gathered, wearing their new Christmas outfits, excited to celebrate in the welcoming of three new infants into our community. Ethan and Noelle appeared to be twins, looking so fragile and sleeping so soundly. Father Cristino gently blessed their small round heads with water and there was barely a peep from either of the wee angels. Isaac was fully immersed and his back stiffened at contact with the water, when all at the same time, he let out a cry. Wrapped up in a cozy blanket, Daddy held him close and he was quickly consoled. The congregation was invited to applaud our welcome and our excitement for this beautiful event. That small candle continued to light up my heart. The Consecration at the celebration of the Holy Eucharist left me gobsmacked. My readers might have to look up the term in their urban dictionaries. I just could not find a term that would suit this moment better. Gobsmacked, it is! This day has been a very special day for me because of its beginning. The snow continues to flutter gently to the ground. My daughter came by and shared a meal of beef barley soup. We snuggled. Max played whizzo outside and flew through the snow…again. The light has long since left the sky. 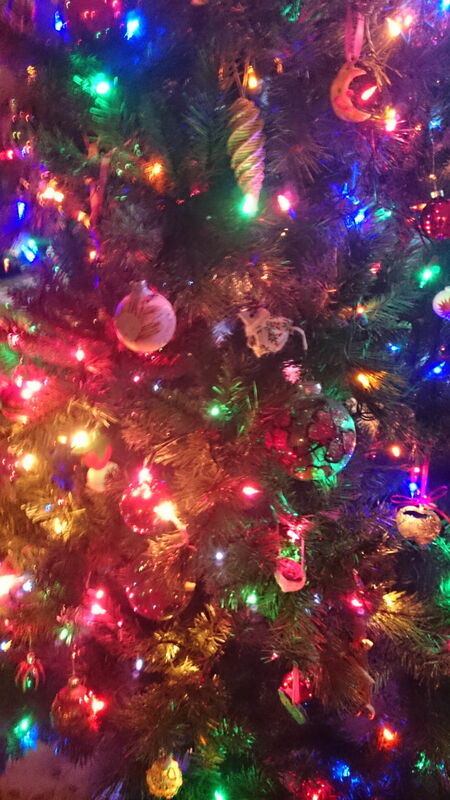 The Christmas tree lights are once again plugged in. While the sky is very dark, it feels as though I am lit up. I am grateful. I am happy. I received a parcel four years ago from Mom and Dad. It may have been the last year that Mom participated in shopping for Christmas for me before the Alzheimer’s disease stole so much from her. I put it on a shelf…in a box…thinking that I wouldn’t ever replace a perfectly good and functioning coffee machine. I owned my white ‘number’ since my #2 was born in 1986. The past three weeks, I’ve been sticking doubled paper towel underneath my coffee maker so that the water that was leaking would stop spilling over my counter. 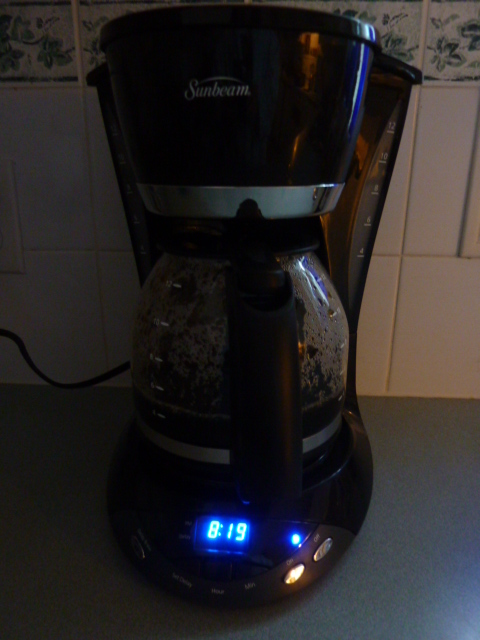 Today held the morning of magic; I went down to my basement storage area and brought out my NEW coffee maker. In the storage room, I was squealing. And then I went upstairs, read all of the safety concerns, set the bright blue digital numbers to the proper time and then made my first cups of coffee. What a blessing! 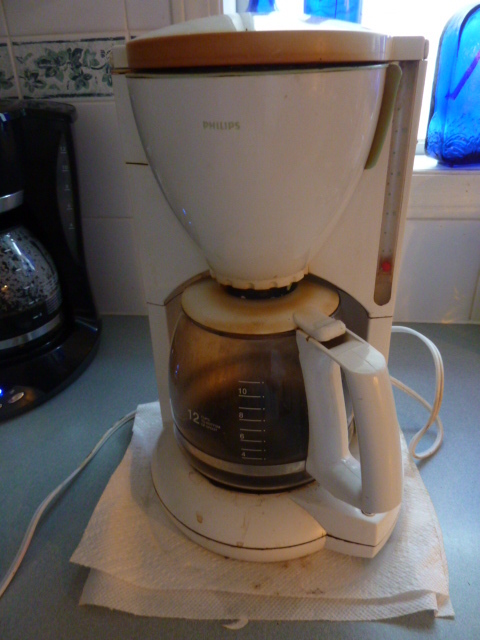 The ‘whitish’ coffee maker is done…it served its years well and I pride myself that I didn’t toss it before its time had passed. Rarely will I share BEFORE and AFTER shots…but here, it just seems a part of the celebration! Thanks to the generous hearts of Mom and Dad! is it like they’re asleep? so sad, so sad, so sad. I think it’s going to be a long long night. The sky was blue and the roads, clear. I have taken a lovely and reflective time away from blogging…enjoying the warmth of the indoors contrasted with the bitter chill of winter outdoors. I’ve eaten a lot of really good food, as you all have (I pray you all have) and shared some drinks with friends and family. Nothing could be better than Christmas afternoon and evening with all three of my children and their partners. LOVE! I’ve plugged in the outdoor lights and nativity each evening around four and unplugged them around eleven, before I have gone to my room to read. I finished up Guy Vanderhaeghe’s short story collection, Man Descending and have been pouring through Wally Lamb’s The Hour I First Believed. It’s been a long time since I’ve read Wally Lamb and am connected again with his awesome syntax. He is a fine writer. As far as the content, of course the topic resonates with me after all of the recent news of Newtown. Sooo…good food, good music, good drink and good reads. One of my really beautiful times came on Boxing Day, with my almost-traditional drive north for clam chowder at Glo’s. Being in her home is like being in a fantasy world…everything is ordered and remarkably beautiful. She has such an aesthetic, it makes a person feel peaceful, just stepping into her home. 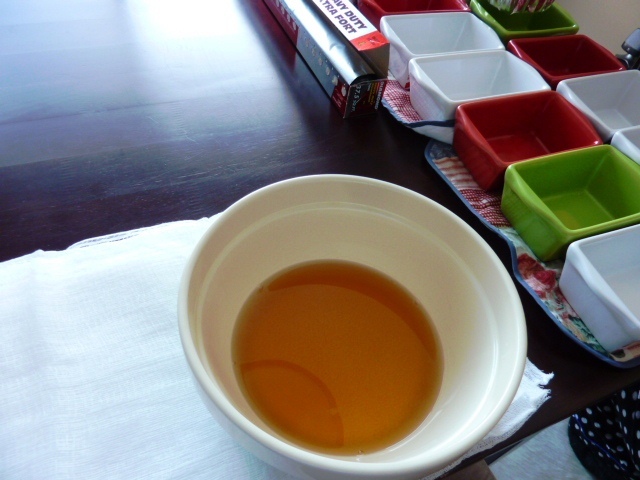 Sipping on cranberry and orange on ice and sharing in finger foods, I like catching up about our children…sharing in our year’s experiences and reforging our long-time friendship. Thank you, Glo! In the autumn, I wrote a wee bit about having opportunity to visit Al Gerritsen’s workshop. At that time, I purchased my indoor nativity figures, sculpture that I will display and treasure every year during Advent. Last week I set them out on the family room book shelf, placed carefully on two meters of violet satin. During the same week, a couple of ‘angels’ offered an outdoor nativity scene, fashioned by the same artist…for anyone willing to transport it on their own. I received the information on this through two of my dearest angels, Pat and Mary. Generously, my son agreed to come with me across the city, to pick it up. With Fred’s advise and piece of rope, we soon had the wooden figures stabilized in the bulging van. It had felt to be an epic journey, both ways, because it took place during rush hour traffic and on an unfamiliar route. Thanks to the patience of my son, we unloaded the creche figures next to the studio some time near seven thirty. Today, my neighbour, Len, came over and we set the nativity up in close proximity to the tree and the bird feeder. It was a very enjoyable time, sorting out the pieces and making certain that the elements were secure. When I came home from the off leash park, I found that Len had repaired the electrical cord and updated the lights that are mounted above Mary, Joseph and the little child, Jesus. I’m looking forward to seeing the piece tonight, when all is dark. I am in gratitude of Al Gerritsen for these pieces that already have a history, having been painted in 1994, and for the people who helped me to access them. It gives me pleasure to display such a powerful nativity here on our neighbourhood circle. 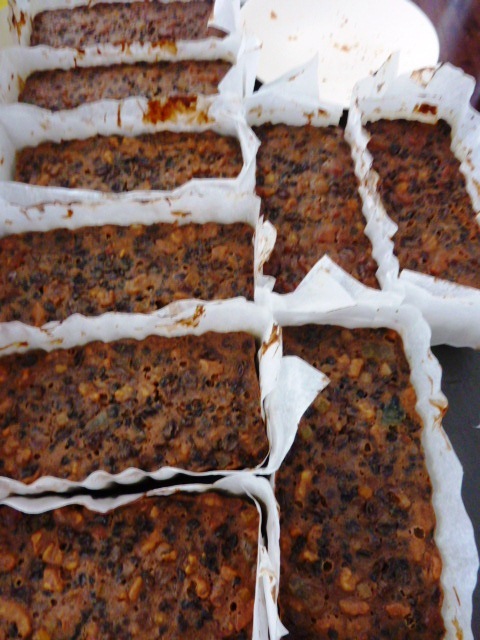 My mother and father, for years, would prepare fruit cake and send it off in parcels to each of us. While I was always grateful for the gifts and candy packed up in the Christmas parcel, it was especially the fruitcake that ‘smacked’ of family and made me feel close to home. So…my daughter and I have taken up the tradition, using Mom’s recipe as best we can. We cranked up the Rita MacNeil music and sharing company for three days, made the magic of Christmas happen once again. Here are only a few archives of this year’s preparations because I forgot to bring the camera along for the mixing in of the mega-ingredients!